Rentalorry’s small furniture movers will take care of any small items that you need to move at extremely cheap rates. Rentalorry is one of the small furniture movers specialists in Singapore. 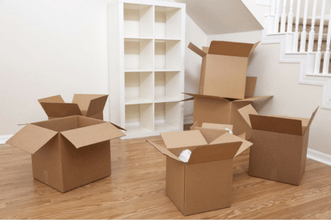 Moving small furniture to your new location but don’t want to waste money engaging an expensive moving services with extra services which you may not require? This is the exact place to get your small furniture moved at affordable prices, while not compromising our high-quality services. Drop us and email or give us a call to get a quotation, our friendly staff would be glad to assist you. We only had a small coffee table and refrigerator to transport to our new place. The movers from Rentalorry arrived punctually and did everything very efficiently. They moved everything very quickly and initially we were afraid that they might break something but everything was very well taken off. Would use their services again. Spoke to Charlotte over the phone and was initially looking for a lorry to transport my furniture. But she advised me that a van would be sufficient and helped me to save some money. The van a little late and they said it was due to bad traffic, but other the move was smooth and everything went well. Would recommend this service to my friends. What Are Considered Small Furniture? Even though these items may seem small, if you are inexperienced and do not possess the right equipment, you can easily hurt yourself while lifting the items. Inappropriate handling will also cause scratches and dents to the furniture! All you need to do is to fix and appointment with us and you can stay in the comforts of your home while we assess your items and quote you the best, affordable prices for your small furniture. We can also ensure that we provide the most competitive prices in the market for such a specialized service, since we also use smaller-sized transport, which means cheaper prices for our valued clients. Small furniture is easier to handle for such an experienced company like us dealing with a wide range of more difficult specialized services. This is why, dealing with small furniture is a piece of cake for us, and you can be assured of a very fast, efficient service. Also, as our smaller vans and lorries are catered specifically for small furniture moving services, we are usually able to arrange moving within days of your call. Here at Rentalorry, we believe in making your moving experience a hassle-free one. On moving day, we will bring the boxes and material to you, and will wrap and pack your small furniture properly. You can sit back and relax while our small furniture movers do all the work for you, and you can be guaranteed a fuss-free experience. At Rentalorry, our movers have more than 20 years of experience in the moving industry and they are all professional furniture movers. From sofas to refrigerators, they undergo intensive training so that they are able to properly wrap the furniture and handle it with great care so that nothing is damaged and your small furniture arrive at your new home safely and soundly. It is this attention to detail that has allowed us to grow and become one of the best rated moving services on Facebook. If you have any questions or wish to get a quotation, just drop us an email or get in touch through our customer service hotline. Our staff would be glad to assist you.